This week I decided to make my hummus with an Asian flavor. Although navy beans are not Asian, that is the type of bean I had cooked off this time, so they were my bean of choice. I had some leftover yams, so they needed to be incorporated as well I decided, if nothing else, to make the hummus a pretty color. For some reason I can't resist incorporating vegetable purees into my hummus anymore, the vegetable lover that I am! 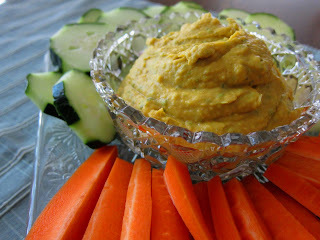 To give this hummus an Asian inspired flavor, the normal garlic was included...but I also added limes and rice vinegar instead of the usual lemon juice, and peanut butter in place of tahini...which made this really tasty, like the background flavor in peanut sauce you would serve on noodles! I added some tamari as well, and some sesame oil in place of the usual olive. Cilantro had to be included as well, since fresh herbs are a must in the summer months! 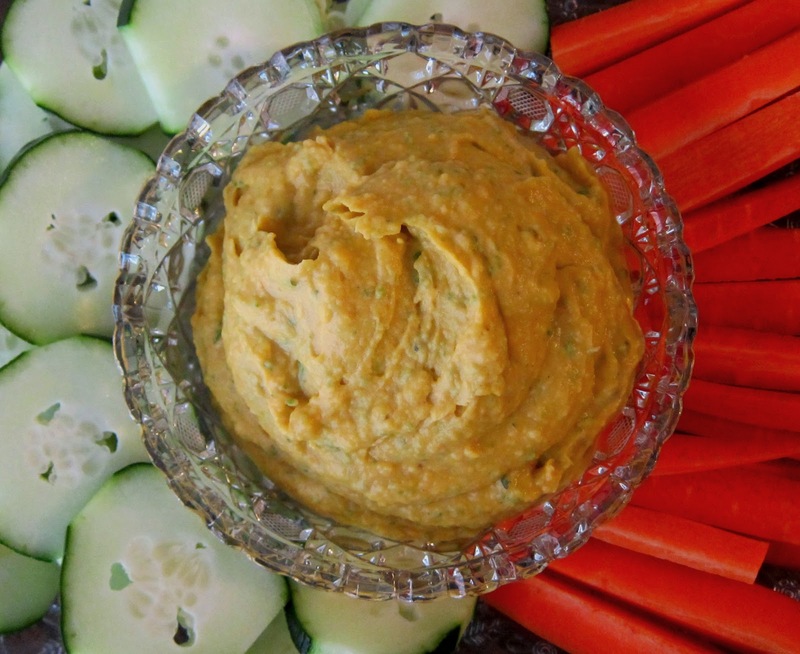 A thai chili found its way into this hummus also, because I felt it needed a little kick! I buzzed it all together in the food processor, and by the time I had finished tasting the final product I think I had gone back for at least ten "tastes" not because it needed anything but because it was so increadibly good! I would encourage you to try this recipe...but I will warn you, it is very addictive! This recipe makes a rather large batch, at least 6 cups, but you can cut it in half easily. Very interesting, I like it! I'm always looking for things to do with sweet potatoes! Wow! Terrific combination of ingredients. It looks creamy and delicious! wow! I never thought beans and potatoes can go hand in hand and make such an amazing dish. This sounds amazing. I will definitely print this off and try it out!